Death Valley is a deep structural trough called a graben, formed by faults that stretched and broke the continental crust, mostly within the last two or three million years. It is just one of dozens that are present across the deserts of eastern California, all of Nevada, and much of western Utah, a region known as the Basin and Range Province. But as grabens go, Death Valley stands out. It is almost twice as deep as the Grand Canyon, as the Panamint Mountains slope 11,000 feet down to the valley floor that sits below sea level. It's also one of the flattest places you can stand on planet Earth. But the valley we see is only part of the story. As is always true of any mountain, if it sticks up into the atmosphere, it will be eroded. It doesn't matter how dry the climate is, erosion happens anyway, albeit at a slower pace perhaps. Sediments have been filling in these valleys. As high as the mountains are, another two miles are hidden by the sediments that fill the valley floor. I imagine some people wonder what's under all that salt. Wouldn't it be cool to see some of the history revealed in those sediments? All I can say is that Death Valley is one awesome piece of geology. Whatever you might seek about geological processes or history, there is probably a world-class example of it at the park. So you want to see what Death Valley would look like from the inside-out? We've got you covered! There have actually been two Death Valleys, and one of them has been turned on end for us to explore. About 5 or 6 million years ago, extensional forces were stretching the crust in the Death Valley region, but from a different direction. A major fault graben opened up in a northwest/southeast direction, mountains rose on either side, and erosion began to fill in the trough. Eventually the sediments accumulated to a depth of a mile. Sometimes a permanent lake filled much of the valley, resulting in the deposition of layers of fine silt and clay. At other times, the lake dried up, leaving behind halite (table salt), gypsum, and borate minerals. Alluvial fans, composed of gravel and conglomerate, sometimes spread across the valley floor. There were occasional volcanic eruptions as well. The sequence of sediments and lava flows is called the Furnace Creek formation. Few fossils are found in the rock, but trackways of horses, camels, mastodons, large cat and wolf ancestors, and birds have been found. These fossils point to a diverse ecosystem that was not quite as dry as that of today's Death Valley, but is certainly analogous to the Death Valley that existed during the ice ages. 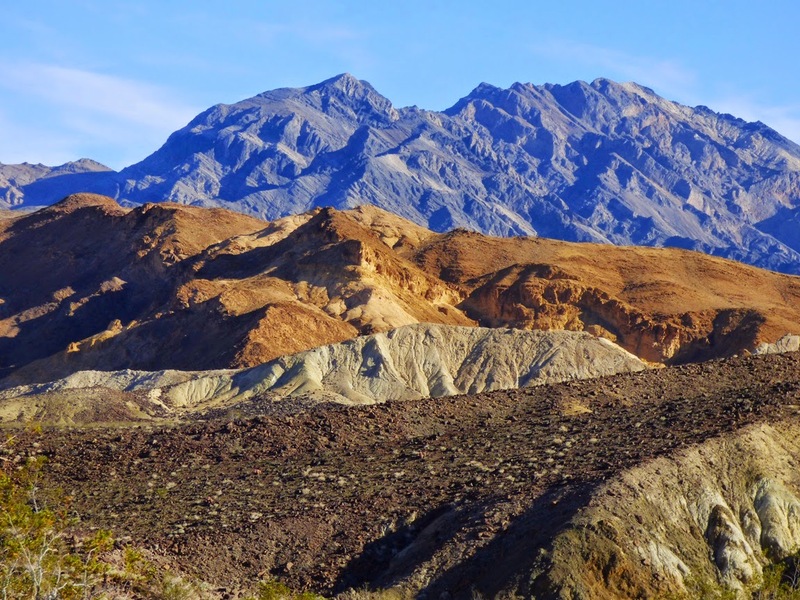 The regional stress pattern shifted and new faults formed, the faults that produced the present-day Death Valley graben. 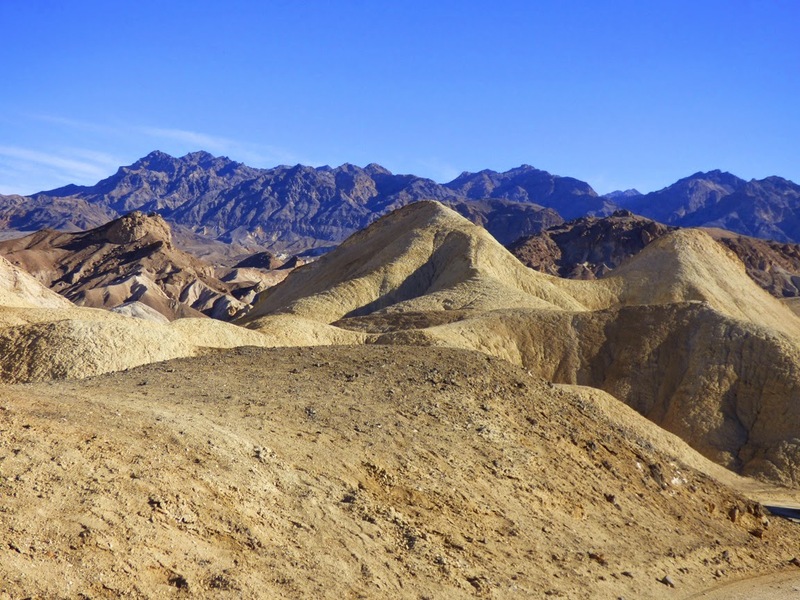 The deeply buried rocks of the Furnace Creek formation were pushed upwards, folded and tilted, and ultimately exposed to erosion. In the harsh desert climate soils do not develop on the fine silts, so the barren slopes give way to deep gullies and furrows called badlands topography. And so today, we can have a look at Death Valley from the inside out. 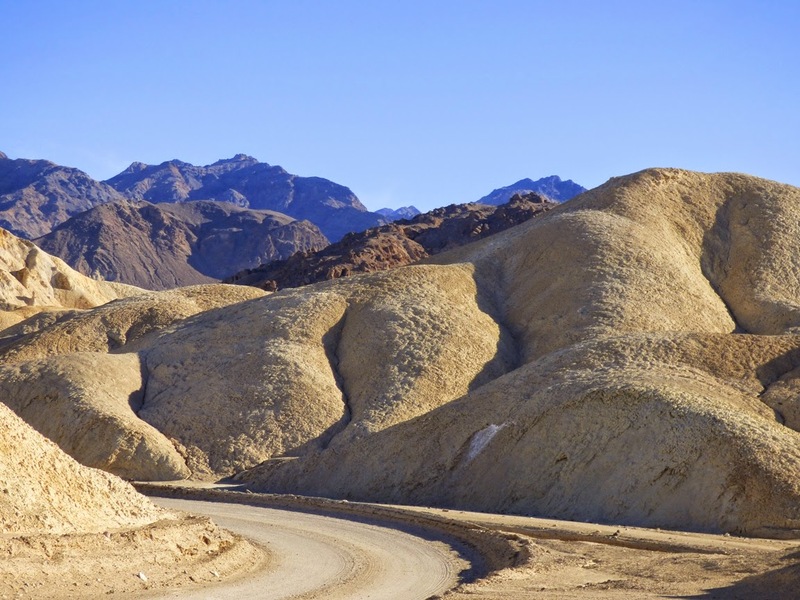 Most tourists who visit Death Valley observe the Furnace Creek formation at the spectacular view from Zabriskie Point or from the resort area at Furnace Creek. We usually do a field exercise at Zabriskie, but the entire area was closed this year for renovation. 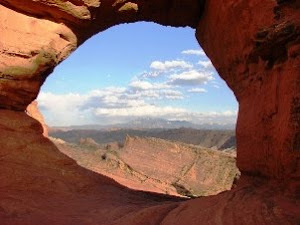 So we headed up Twenty-Mule Team Canyon for a look at the colorful outcrops. The gravel road winds for several beautiful miles through the badlands. 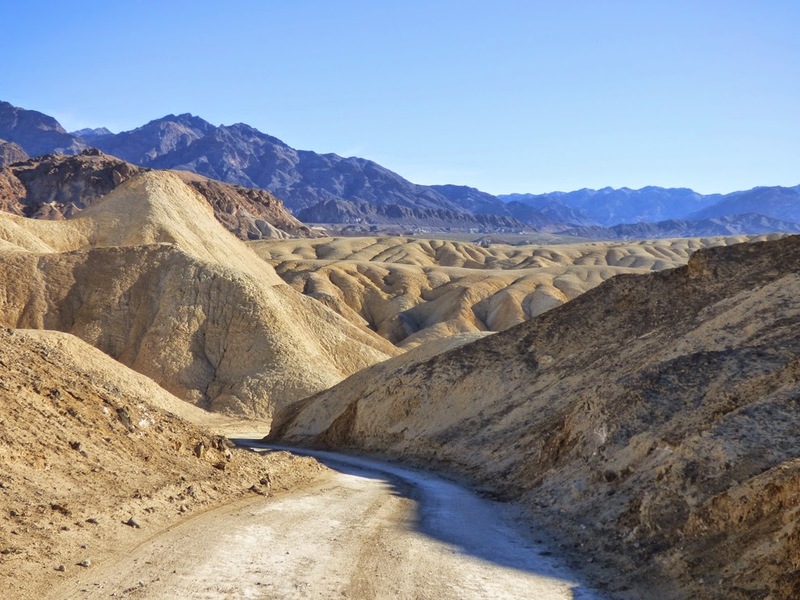 The Furnace Creek formation was the greatest source of riches in the Death Valley region. Forget gold or silver or copper. The borate minerals, formed from geothermal hot springs in the graben of the Furnace Creek formation, were mined for their use as soaps and detergents, a flux in glass-making, in cosmetics, and numerous other applications. 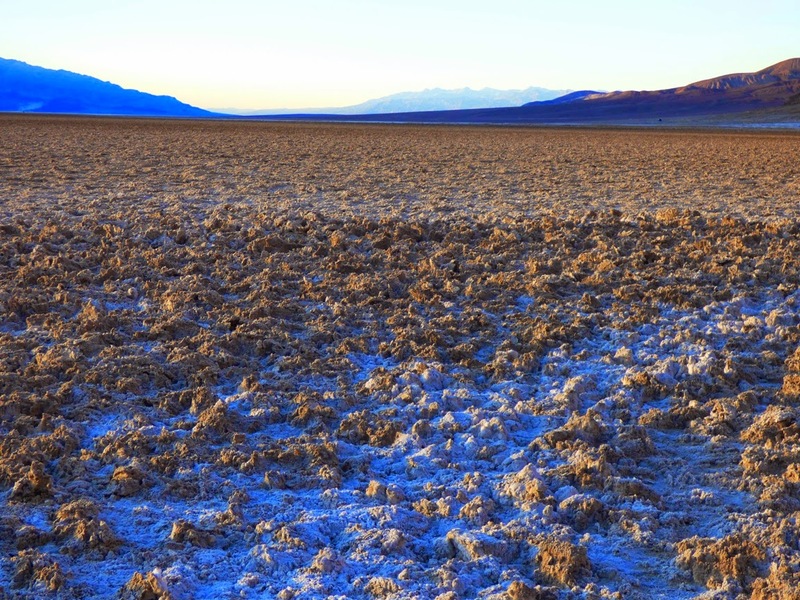 For a number of years in the late 1800s the only economic sources of the borate minerals in the world were in Turkey and Death Valley. They were still being mined in Death Valley as recently as 2005. 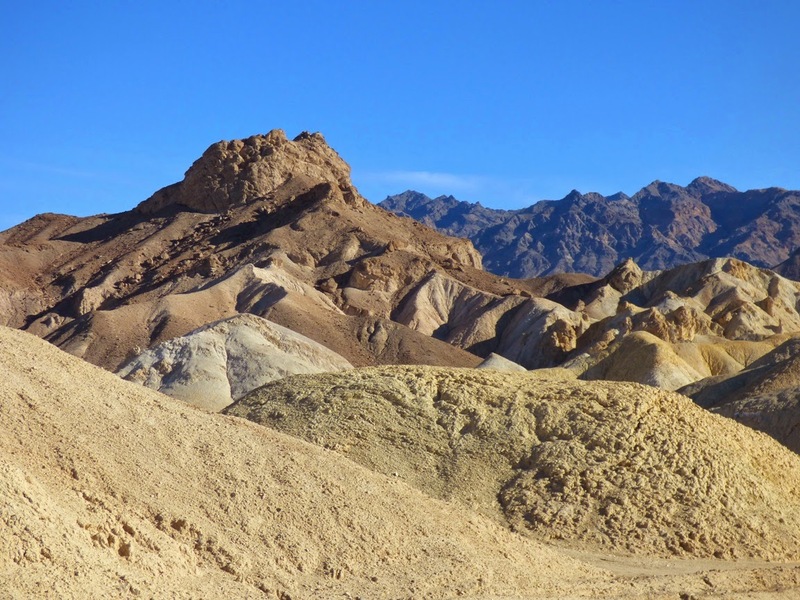 The Furnace Creek formation is a spectacular part of the scenery of Death Valley National Park, but the colorful exposures provide a window into the geologic history of the western United States as well. Peel away the surface layers and we find pieces of the past when conditions were far different. Peel back that layer, and we find another story.The Furnace Creek formation is but one of dozens of geologic strata exposing more than a billion years of changing environmental conditions. The park is one giant Babushka doll of geologic history. Oh the things I don't know about geology!! This is a great post, Garry, and something I'd never heard of before. If/when I get there again, I'll be looking at the land very differently, because of your posts. Thanks so much. 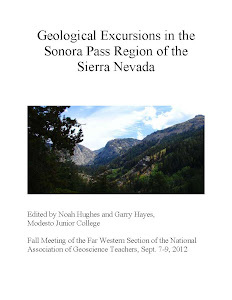 I suggest removing the blog "Andrew Alden's About Geology", since About.com kicked good ol' Andrew out. Thanks for the language correction!